Rana Daggubati failed with Kajal - Now, Regina? SIBY JEYYA December 28, 2018 15:00 IST Rana Daggubati failed with Kajal - Now, Regina? The handsome Hunk Rana Daggupati, post his successful entry into Tollywood with the Shekar Kammula directorial Leader, later lost track, acting in films that lacked consistency, before being resurrected by SS Rajamouli, who gave him the lifetime role of the antagonist Bhallaladeva in his magnum opus Baahubali series, that earned praises for his evil act. Post Baahubali, he scored two more hits in varied genres, the war flick Ghazi and the political thriller Nene Raju nene Mantri. Now, the actor is busy shooting for films in various languages, including Anizham Thirunaal Marthanda Varma in Malayalam, Haathi Mere Saathi in Hindi to name a few. His movie 'NRNM' with Kajal Aggarwal failed so bad. Now, he looks to hit back with the movie where Regina is doing the female lead. Besides, he's also starring in the period flick 1945, which has him playing an Indian National Army soldier, and the movie is set in the pre-independence period of India. 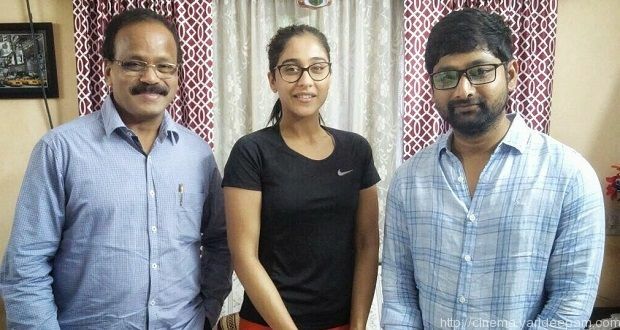 Costarring Regina Cassandra as the female lead, the movie has Sathyaraj and Nasser in pivotal roles. Now, Regina has signed another movie too where Rana will be doing the lead role.